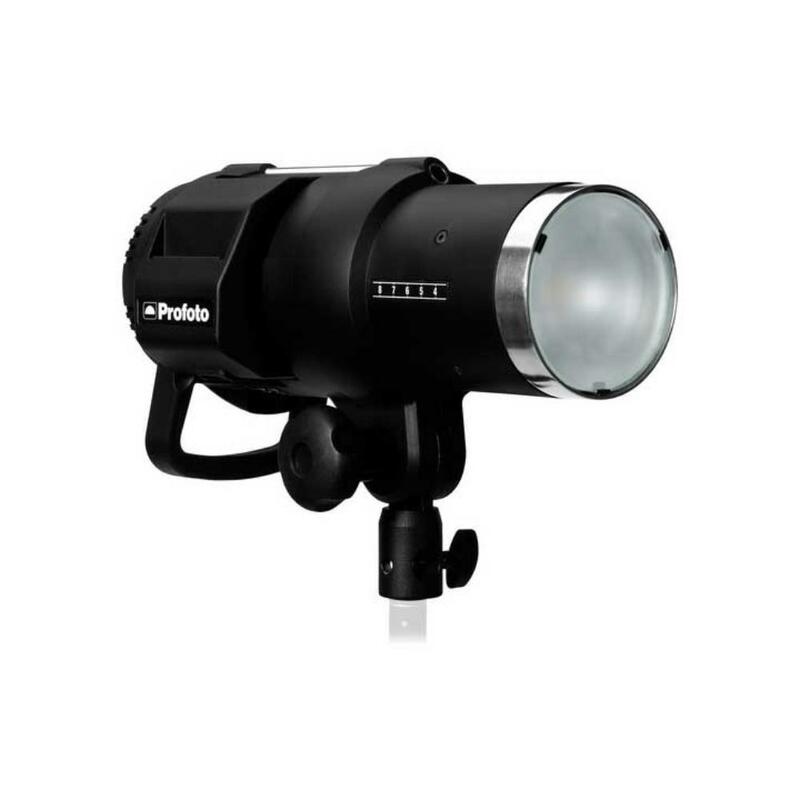 The Profoto B1 500 AirTTL Battery Powered Flash is a powerful off-camera flash that can be triggered with an Air Remote (not included, see Notes section for our list of available Air Remotes), Pocket Wizards, or triggered easily from your camera's PC sync port via an included 15' sync cable. This flash comes equipped with a Lithium Ion battery that lasts approximately 220 full-powered flashes. This sleek battery allows for cord-free shooting on location without the bulk of an external battery pack. You can fire off 20 flashes per second in Quick Burst Mode with this flash, which is ideal for lighting while capturing action. There is also a special Freeze Mode that delivers flash durations as fast as 1/19,000th of a second for capturing liquid sprays, bullets firing, and other super-high-speed effects. The power ranges from 2W/s for just a hint of light all the way to 500W/s. The shape of the flash, with its built-in protective reflector, accommodates the Profoto HR Speedring and the Profoto RFi Speedring, which attach to a variety of rod-based light modifiers (not included). The Profoto B1 is a great option for photographers who can't be tied down to outlets and is ideal for sports, portraits, high-speed effects, and product photography lighting. • Use the included 1/8th-PC sync cable to fire this flash from your camera. Alternatively, you may rent a radio trigger, such as the Pocket Wizard Plus X, to fire this flash from your camera. A minimum of (2) Pocket Wizards must be rented to wirelessly fire this flash without using the included PC sync cable. 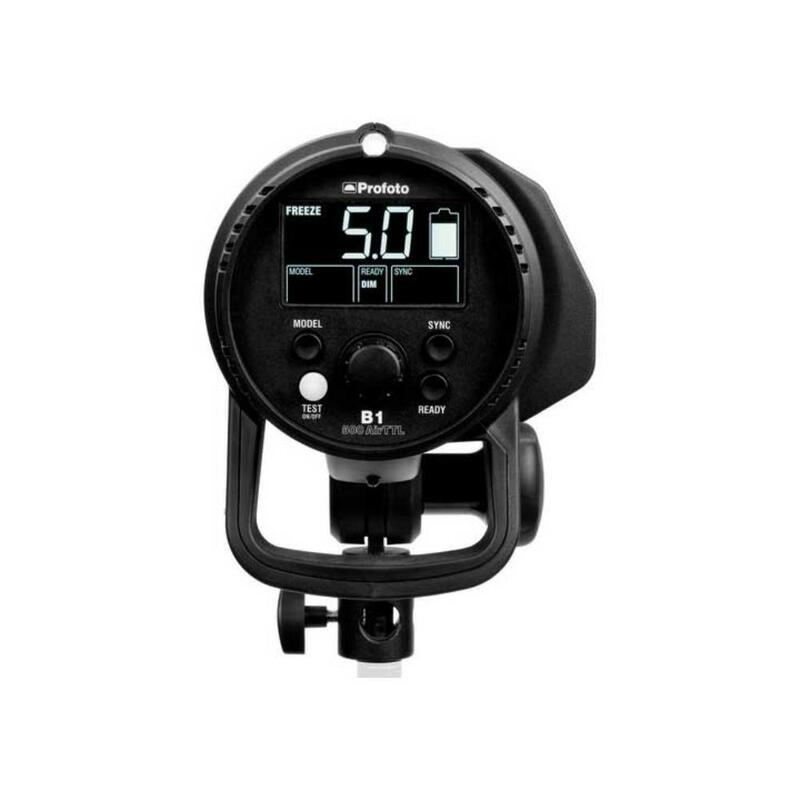 You may also fire this flash with the Profoto Air Remote for Canon, the Profoto Air Remote for Nikon, the Profoto Air Remote for Sony, or the Profoto Air Remote for Fuji. These are not included. • We make every attempt to recharge this flash’s battery but may not be able to 100%. Prepare accordingly. Batteries last for approximately 220 full-powered flash pops. Rental of a spare batteries is recommended. Batteries take approximately 2 hours to fully charge. 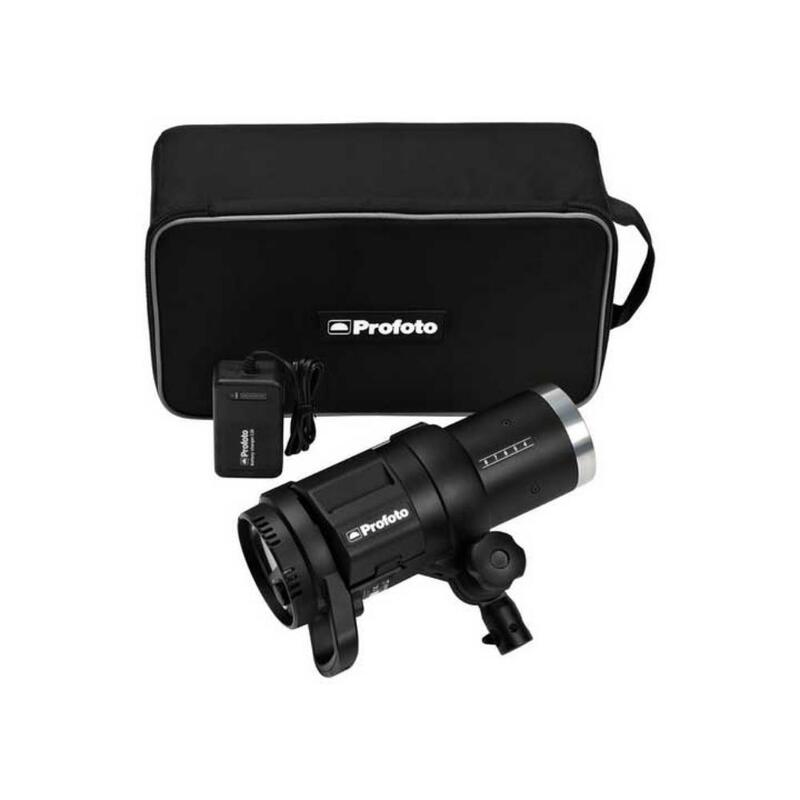 • Also note that this flash does not come with a light stand. • High Speed Sync mode is enabled via an Air Remote, which is rentable separately. Press "Sync" until "Hi-S" is shown. For Nikon users, make sure Auto FP is enabled (on some models, you are still limited to 1/320th of a second). • Dimensions: 12.2 x 5.12"